Our 2016 renovation of the H.G. 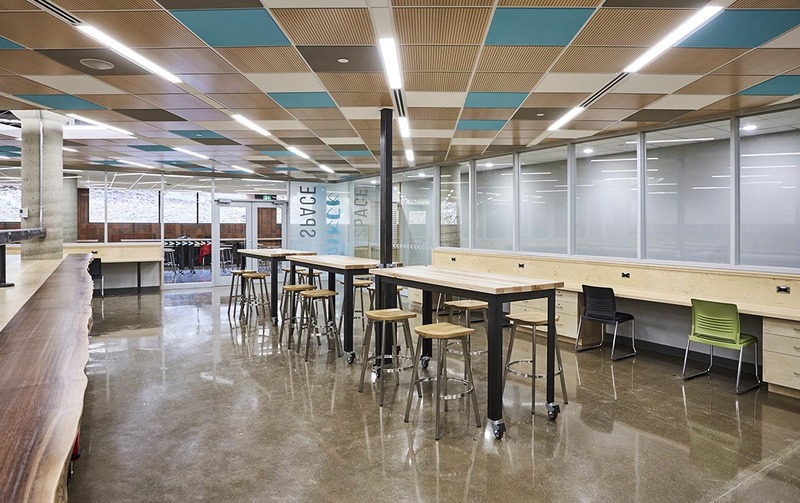 Thode Library at McMaster University in Hamilton is representative of the changing nature of library environments. 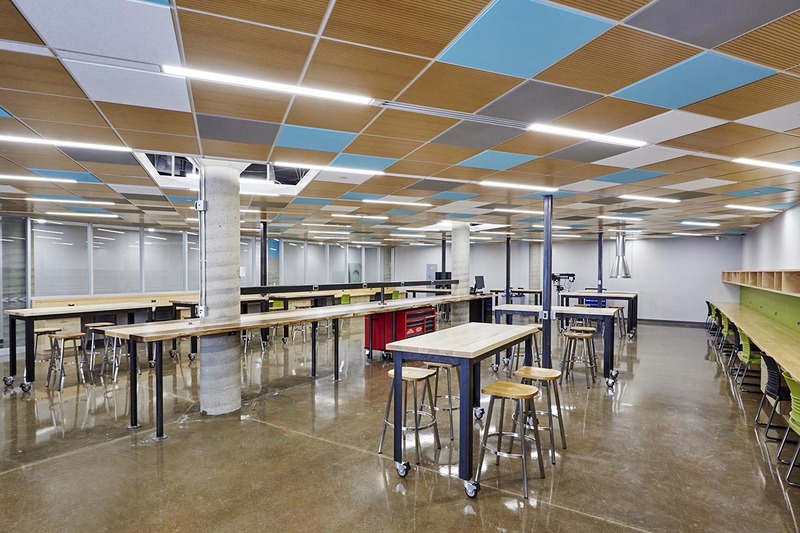 The maker’s space is located in the basement of the facility which provided design challenges including views, natural lights and mechanical upgrades. It has a high visual impact, is filled with light and is highly adaptable. 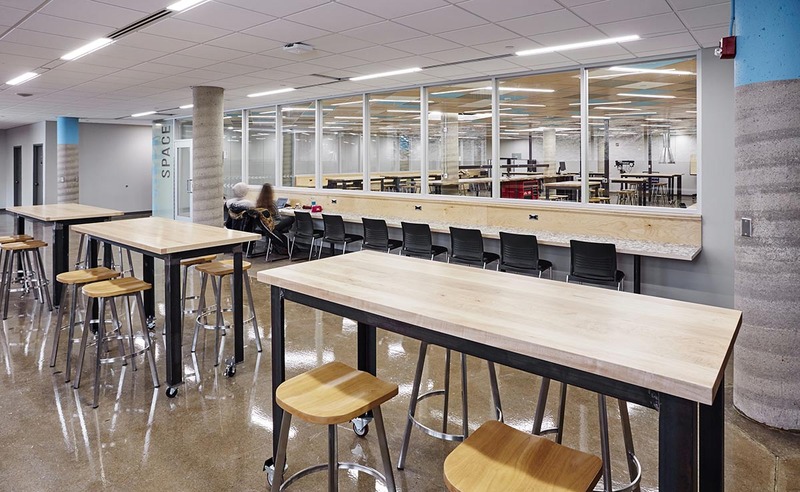 Every aspect of the design supports hands-on learning, experimentation, and the possibility for students, professors and local entrepreneurs to creatively collaborate. 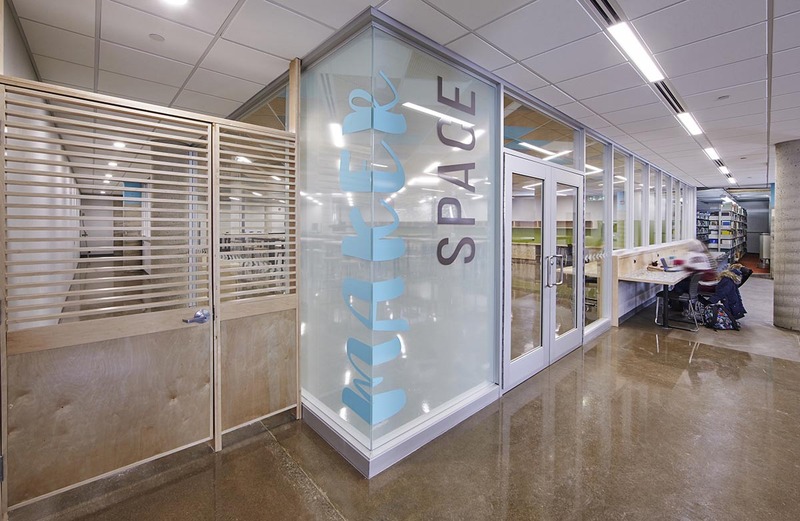 This environment extends into the common areas at the entrance of the makers space focussed on attracting entrepreneurs, students and scientists. Maintaining visual connections throughout the space was a high priority. This transparency is essential to foster a sense of curiosity. Those passing by have the chance to see what is happening within, watch as projects take shape and participate as an audience to this inventiveness- perhaps sparking ideas of their own. Equally important, the openness supports a safe environment. Full height frame-less glass marks the entry while glazing from counter height upwards maintains this open feel. 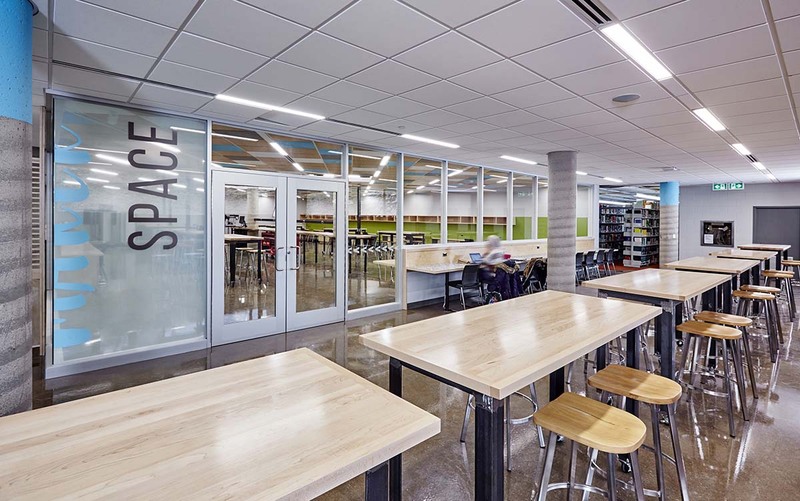 The spaces is designed to accommodate changes in equipment and evolving technology. 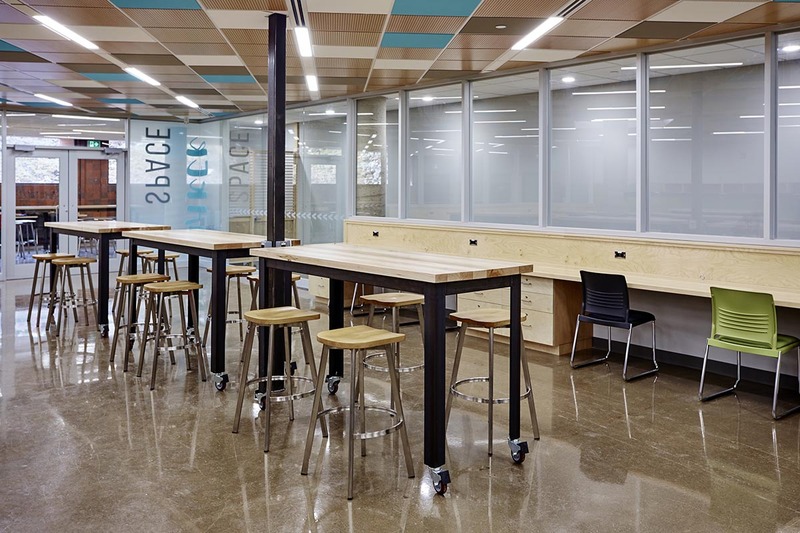 The maker space provides lounge seating, study benches, tall tables, and work benches with close proximity to electrical connections creating options for various learning environments . 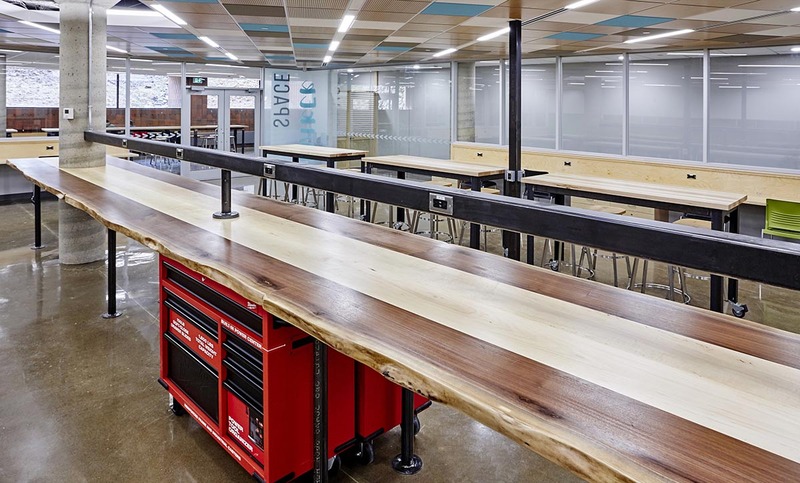 The maker space is designed to attract students who may not have traditionally felt welcome in a workshop environment. We use materials and transparency to minimize both physical and perceptual boundaries. 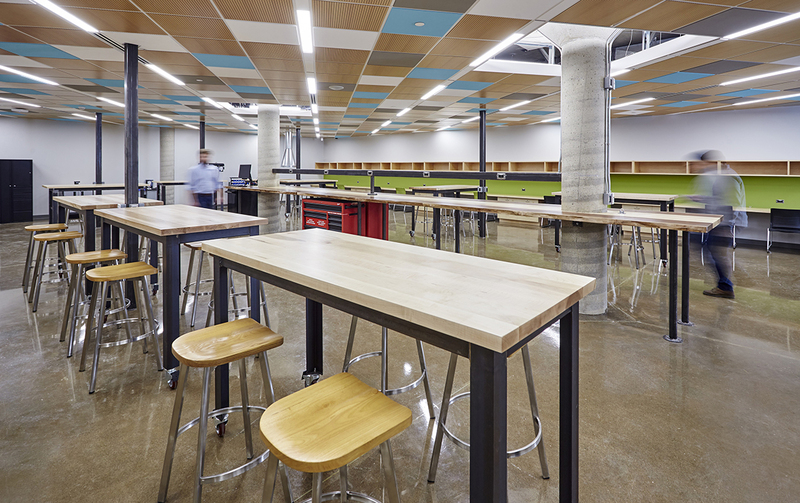 We took care to provide a safe, barrier free environment with flexible seating, storage and worktop options.